Bedford City Utilities and the entire staff are committed to providing the best service while being fiscally responsible. Water is our most precious resource and it is our goal to provide the community with a safe, dependable supply of drinking water. 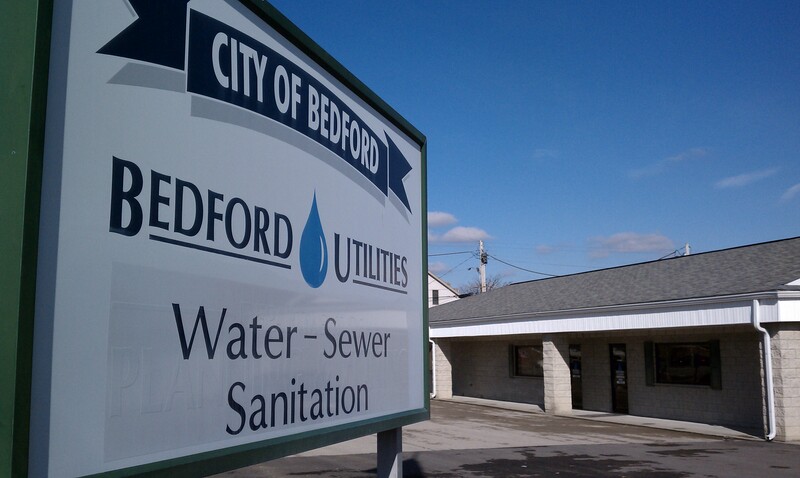 Since 1892, Bedford City Utilities has been responsible for providing and distributing clean drinking water and maintaining a sanitary sewer system. Our office is located at 1614 L Street, and for the convenience of our customers we have a drive-up window located on the north side of the building as well as a drop box for after hours payment convenience. Our office is open Monday through Friday from 7:30 a.m. until 12:00 p.m. and 1:00 p.m. until& 4:15 p.m. If you experience a problem outside of our normal business hours, or on the weekend, please call 275-7173.